Logan Andryk (Milwaukee Marquette/MSOE) snapped a tie in the 98th minute and Marquette's Jake Taylor (Whitefish Bay) added an insurance goal as Bavarian SC outlasted longtime rival Croatian Eagles 3-1 after extra time in the Wisconsin Soccer Leagues Major Division final Tuesday night at Heartland Value Fund Stadium in Glendale. The match originally was scheduled for last Saturday night, but was postponed due to severe weather and rescheduled. Boston University's Jackson Weiss (Milwaukee Marquette) opened the scoring for the top-seeded Bavarians (14-1-1) in the 40th minute, and it remained 1-0 until Aaron Lauber (Franklin/UW) equalized for the Croatians (13-2-1) in the 88th. The second-seeded Croatians, who have won six Majors titles since 2002, finished the season 13-2-1 – both of their losses and the draw came against the Bavarians, who haven't lost against state competition since September. The WSL First Division final between the second-seeded North Shore United Reserves (16-3-2) and No. 5 seed Atotonilco (12-4-5) also was postponed due to storms last Saturday and was rescheduled for 5 p.m. Saturday in Glendale. The NSU Reserves have won 13 straight games, including a 3-0 win over Atotonilco, and haven't lost since November. University of Wisconsin forward Sydney McGinnis scored as the Chicago Red Stars Reserves beat the Dayton Dutch Lions 4-0 in the Women's Premier Soccer League Midwest Division semifinals Saturday in Oak Brook, Ill. The Red Stars Reserves (9-0-1), the reigning WPSL champions, then got past the FC Dallas Women 4-3 in Sunday's final to earn a return trip to the national semifinals. They'll face the Boston Breakers Reserves (11-1-0) at 1 p.m. Saturday in Westerville, Ohio; the winner advances to play the Atlanta Silverbacks (9-0-0) or the San Diego Sea Lions (10-0-1) in Sunday's final. The Washington Spirit Reserves (11-0-1) actually beat the Breakers Reserves 3-1 in the Eastern Division final, but had to withdraw from the semifinals because of a lack of available players due to requests from college coaches. McGinnis is one of five players on the Red Stars Reserves roster with state ties; the team has outscored opponents 48-4 this season and is unbeaten in its past 24 matches (22-0-2). 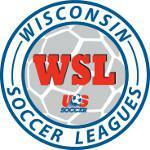 No team has won consecutive titles in the WPSL's 18-year history. UW defender Sam Brotherton had an assist as the Des Moines Menace routed defending champion K-W United 5-1 in a Premier Development League Central Conference semifinal Friday in Pontiac, Mich. The Menace (11-3-2), though, dropped a 2-0 decision to the Michigan Bucks in Saturday's conference final. Badgers defender Elan Koenig logged all 120 minutes as FC Golden State Force outlasted host San Diego Zest FC 3-2 after extra time in a PDL Western Conference playoff play-in game July 19. Koenig and the Force fell to Calgary Foothills 1-0 in the conference semifinals Friday and finished the season 9-5-2. Agustin Rey (UW-Milwaukee) made six saves, but the host Fresno Fuego lost to the Burlingame Dragons 3-2 after extra time in another play-in game July 19. UW-Milwaukee's Nick Moon (Waukesha West) started and played the first half for the Fuego (10-4-1). Rey, who posted a 0.54 goals-against average and seven shutouts in 14 appearances in the regular season, was named to the PDL All-Western Conference team.